In normal conversations when we use the word “balance,” we tend to think of balance being an even distribution. And in many cases, this is correct. But when it comes to your life or your business or career, this couldn’t be farther from the truth. 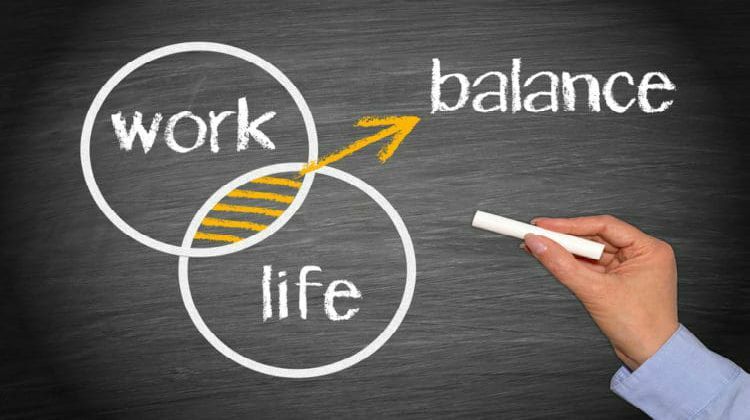 Finding balance in your work life and personal life takes effort. I want you to say this phrase out loud: “Balance means equal attention given to both or to all…” Then I want you to say it again and remove the word “equal” because having equal attention in all things cannot and does not work in anyone’s life, including yours. So if balance doesn’t work in equal proportions, then how does it work? We’ve talked a lot about the 80/20 rule or the Pareto principle. It says 20% of your activities will create 80% of your results. This means that 80% of what you do is wasted as far as the results you want are concerned. Watch this video to learn more about it. So what do you do to find balance in your life? The first thing you must do is prioritize. You have to say, “What do I do that is productive, makes money and gives me joy?” The reality is most of our time is spent on frivolous, crappy stuff that doesn’t create real results. Sometimes if I’m not careful, I can be on my email for four hours because I’m curious and think, “What does this financial letter say? What does this other guy say? What’s all of that about? What does he want over here?” I then catch myself and notice how many hours have gone by when I could have finished the emails I needed to do in 20 minutes. That’s life. You have to discipline yourself to be productive. So how do you prioritize effectively so you can be productive? I want you to think about dividing a piece of paper into two sides, a left side and a right side. Most of our students are involved in a business, work, a career, or something where money or business is involved. So we’re going to put money and business on the left-hand side of the paper. On the right side, we’re going to put the rest of life. You might be thinking that that’s unbalanced, but it’s not. Let’s take the money and business side, first. I’m going to share with you a big secret right now that not too many people know. I call it “The Big Kahuna”. The big kahuna means the “big thing”. In your money and your business, what is the one big thing you can do that will have the most impactful effect and will create the biggest results for your business or career? It’s the ONE thing — not the ten things, five things, four, three or two things. 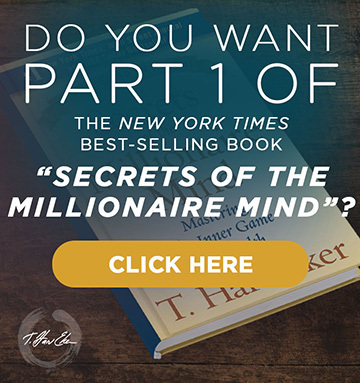 For my situation, I’ve been fortunate enough to do enormously well on my book, Secrets of the Millionaire Mind. That book brought me a lot of clients and business from all over the world and has sold over 2 million copies in 43 languages. So, “The Big Kahuna” for me that would have the greatest impact would be writing another best-selling book, and that would be huge compared to everything else that I do on a day-to-day basis. So, how much time should you dedicate to “The Big Kahuna”? 50% percent of all of my business time would go into my Big Kahuna. This may come as a shock to some of you reading this right now. But let me ask you this: Do you want greatness or do you want mediocrity? 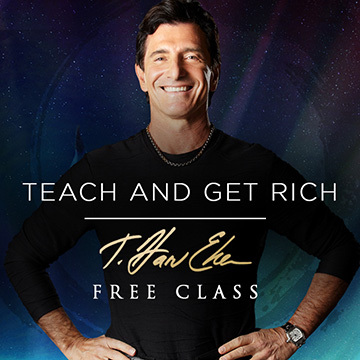 Do you want wealth or do you want to earn a living? If you want wealth, you have to work on “The Big Kahuna” and make it happen. That’s what will create greatness in your life. Okay, what’s an example of a big kahuna for someone else who is in business? I can tell you right now that 99% of every business problem lies in marketing and sales. If you are a great marketer, chances are you’ll make great money. If you’re a lousy marketer, chances are you’ll make lousy money. I can tell you with absolute certainty that the most essential skill I have is the skill of marketing, and 99% of the time, that’s my big kahuna. In my experience, most people who are underachieving are not spending enough time on marketing. The reason is that they either don’t like it (very common), or they don’t know exactly what to do to make it work. That is why we created our web class, The 500 Million Dollar Secret, to teach you exactly how to become a master at marketing. You can learn what common mistakes most people make and how you can avoid them. You’ll also get the opportunity to know exactly what I do in my own business to predict success. For the right side of the paper (the rest of your life), how long does it take to have dinner with your family? It takes an hour a day. How long does it take to read a book to your kids and spend quality time with them? It can take an hour or less. How long does it take to work out? It takes half of an hour to an hour. You DO have time for everything else, and that’s the bottom line. Decide what your big kahuna is. If it isn’t marketing, then what is it? Come up with a plan to divide your time to create success in your personal life and your business or career. Leave a comment below and share your story with us! I have not been thinking about what brings success, although this year I have been marketing myself in my personal life and have become very successful, or so I believe. Now I need to market myself in my business and reap the rewards, and not be embarrassed or feel selfish. Ok…see that balance beam? That’s me walking across it. Yes I fall off but hop back up and keep going. Just finished your book…amazing and took some time. I did the lessons. Thank you. And much thanks for seeing you say no to equal! Yes! Hopping back on that balance beam now. Have a fabulous day! Btw…I have a millionaire mind!